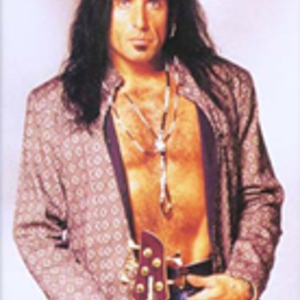 Marco Mendoza is an American musician - bass player and vocalist. He played in John Sykes' band Blue Murder, from 1991 until 1993. Mendoza is the current bassist for the reformed version of Thin Lizzy, which also features Sykes. From 2001 to 2003 he toured with Ted Nugent and in 2004 he toured with Whitesnake. On July 6th, 2007, Mendoza released his first solo album Live For Tomorrow and it features guest performances by Steve Lukather, Ted Nugent, Doug Aldrich, Tommy Aldridge, Brian Tichy and others. On July 6th, 2007, Mendoza released his first solo album Live For Tomorrow and it features guest performances by Steve Lukather, Ted Nugent, Doug Aldrich, Tommy Aldridge, Brian Tichy and others.